According to a 1936 property map the land on which the Copperfield neighborhood now sits was divided between two tracts of land: the north tract was under the name of Memucan Hunt and the south tract was under the name of Thomas H. Mays. These designations seem to represent the 19th century proprty owners. Part of the Land that now comprises Walnut Creek and some nearby properties was owned for several generations by a family named Cearley. The Cearleys operated a dairy farm from the 1850s to 1971. 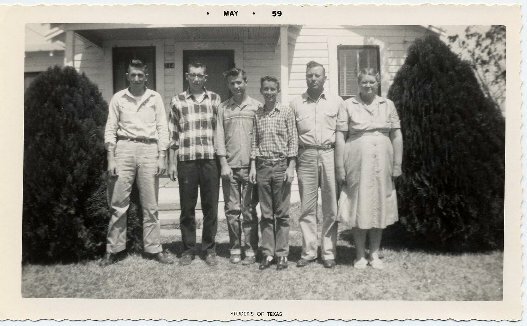 The Cearleys' farm was located generally east of North Lamar and stretched, at various times, from what is now Walnut Creek Park to what is now the River Oaks subdivision. A May 28, 1971 Austin American newspaper article chronicles the unwinding of Fred Cearly's dairy farm. Members of the Cearley family have passed on to us some interested photos, shown below. For more information on the Cearly family see Walnut Creek District Park: Archeological Testing. In the twentieth century the land that comprises the Copperfield Subdivision was owned by two farming families, the Krugers and the Hamanns. The Krugers owned almost all of the land which now comprises Copperfield. According to Luther Fox, who was born in our neighborhood about 1930, Herman Kruger owned most of the property south of (today's) Yager, and Hugo Kruger owned land to the north of Herman's, and the Hamanns may have owned a small piece of the northernmost part of Copperfield. 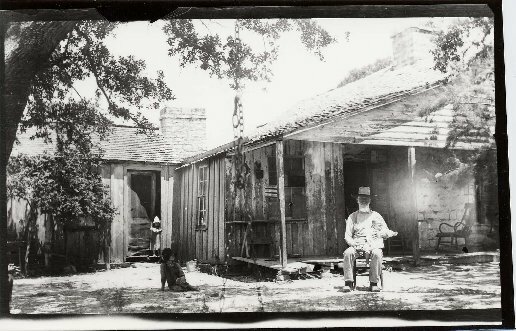 Another family, the Wielands, also owned property in or near the land now occupied by Copperfield. Herman Kruger was raised as a cotton farmer, and later diversified into dairy farming. His land was later known as the Angus Valley Ranch and was located where, today, Tuffit intersects Rotherham. See an Austin newspaper article on Herman Kruger, including a photograph, here. Hugo Kruger was both a farmer and, for a while, a mail carrier. Herman and Hugo's parents had a house on Hugo's property close to where the intersection of Yager and Dessau are today. The house was moved to the Pioneer Farm and is on permanent display there. According to Travis Kruger, a current area resident and descendant of the original Krugers, a dairy farm was operated by a family named Doering in the area west of (today's) Copperfield Drive, and west of the small creek immediately west of Copperfield Drive, and a little to the north of today's Yager Lane. This places the dairy where the most recent part of the San Paloma Apartment Complex is built. 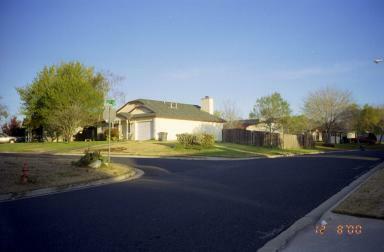 Travis Kruger also has mentioned that Yager Lane was paved in about 1960. Acording to Luther Fox, The Krugers probably sold their land in the 50s or 60s. During the 1920's and 1930's two spinsters, Georgia and Myrtle LaRue, operated a dairy near where Walnut Creek crosses North Lamar. 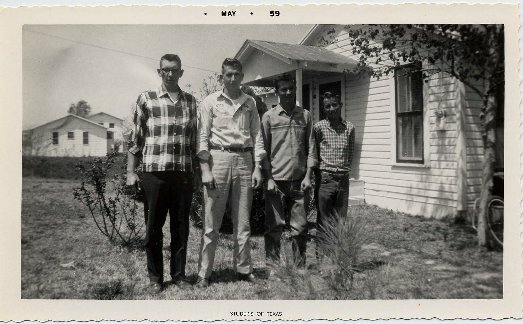 Their house was on the north bank of Walnut Creek a hundred feet or so east of where the creek intersects North Lamar. An old bridge at the site was taken down at around the middle of the century. Today the bridge foundations are still visible (see in Section 2 of A History of North Lamar Boulevard), but traces of their house have completely or almost completely disappeared (Doris Cox, Leon Carter, personal communication, 2000). On North Lamar you will see an old motor court. Alongside that motor court is an old road called Dillingham Lane. It was named after my grandfather. Right on that road and extending to where the new apartments now are was Dillingham Pasture. Dillingham Pasture was a place where, starting in the late 20s, church groups would come for picnics. Later student groups from UT would come there. We closed off Dillingham Pasture in 1940 because people would come and pull up fence posts to start fires, and they would start fires in the wrong places. Part of I35 later ran over Dillingham Pasture. 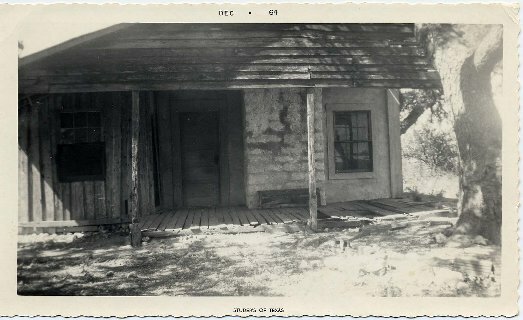 Mr. Fox also believes that the outlaws Bonnie and Clyde once stayed in Dillingham Pasture, see notes on the Bullhead Inn for details.